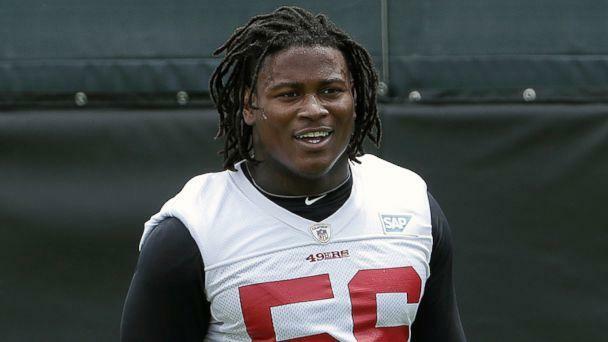 The ex-girlfriend of Washington Redskins linebacker Reuben Foster described the deteriorating state of her on-and-off relationship with the NFL player that ultimately led to his release from the San Francisco 49ers last month. Elissa Ennis, 28, met Foster, 24, at the 2014 Sugar Bowl in New Orleans, when he was still playing at the University of Alabama, and they began a long-distance relationship a couple of months later, she said. The two were so ingrained in each other's lives that they had met each other's families, Ennis said. While her family thought of Foster as a "nice" and "good-hearted person," Ennis said, "behind closed doors, he's not." Neither Foster nor his representatives have responded to ABC News' request for comment. The alleged domestic violence incident that ended Foster's career in San Francisco happened last month, after Foster invited Ennis to Florida so they could work on their relationship, she said. 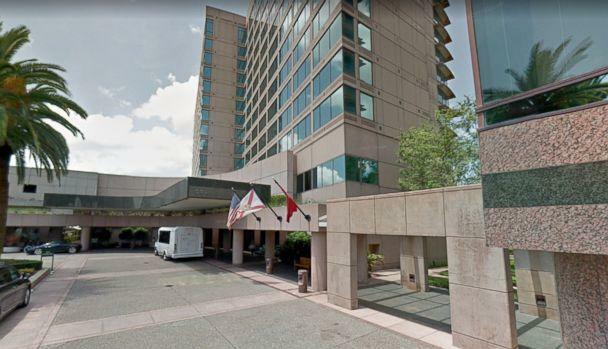 The Tampa Police Department said on Nov. 24 they were called to the Grand Hyatt hotel, where the San Francisco 49ers were staying before their game against the Tampa Bay Buccaneers the next day, to investigate a domestic violence complaint. A heated argument with Ennis allegedly escalated into a physical confrontation, in which Foster allegedly slapped Ennis's "phone out of her hand, pushed her in the chest area and slapped her with an open hand on the right side of her face, according to a criminal report affidavit obtained by ABC News. Officers observed an inch-long scratch on the side of Ennis's left collarbone and took Foster into custody, police said. 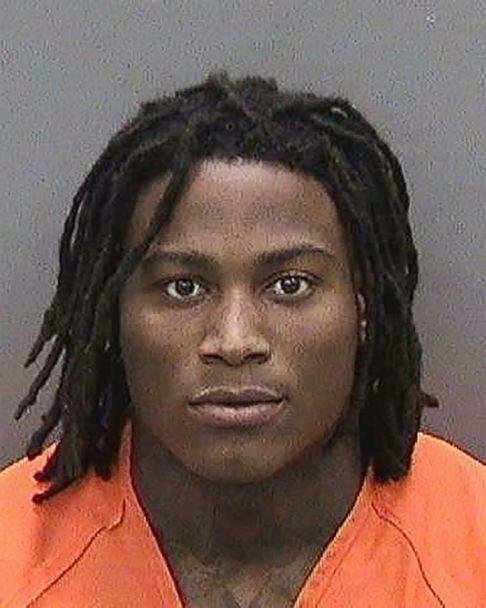 He was later released on $2,000 bail. 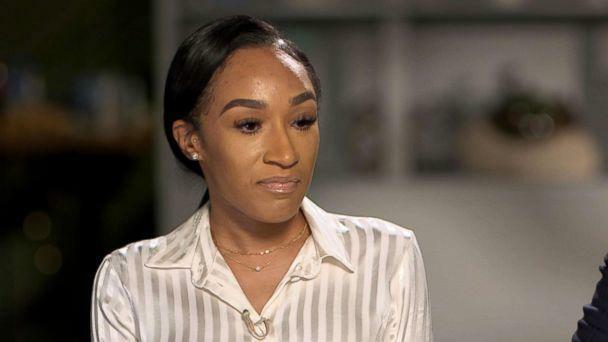 The fight began after Ennis told Foster, who was seeing other people at that point, that she was going to tell his new girlfriend that he paid for her flight to Florida, she told ABC News. Ennis said at the time she couldn't believe what transpired during the confrontation, especially since they were "off" at the time and she'd traveled to Florida in an attempt to improve the relationship. "We both were seein' therapists and stuff, tryin' to work on our relationship," she said. "So I was like, 'I can't believe you -- you're back to doin' this.'" Ennis said she sustained a concussion from the slap from Foster, a 6-foot-1, 280-pound linebacker. The 49ers released Foster after the incident. He was the team's first-round draft pick in 2017. Foster had gotten physical with her three times before, she said. Twice she called police, and another time -- in October -- the neighbors called, she said. Ennis and Foster had previously lived together and were involved in an on-and-off relationship for several years, Tampa police said. In February, Foster was arrested at his home in Los Gatos, California, near San Jose, on the suspicion that he battered Ennis, who initially told police that he hit her at least 10 times, dragged her out of the house, threw her on the ground, spit on her, broke her phone and threw their bulldog on her, according to the Los Gatos/Monte Sereno Police Department. Ennis later told a judge during a court hearing that she concocted the story in an attempt to ruin Foster's career as part of a "money scheme" to try to "sue him on [her] own," and the domestic violence charges were dismissed. Foster did plead no contest to a weapons charge, which had been reduced to a misdemeanor, and he was sentenced to 232 hours of community service and was placed on two years of probation and barred from possessing any guns or ammunition. When asked why she decided to recant her story, Ennis said, "Because I loved him, and love will have you doin' things that's not in your best interests." She later added, "I did what I had to do for the person I love. I thought that he would change." Ennis's family advised her not to recant her story, she said. The February incident also began as an argument that turned physical, Ennis said. The two were living together at the time, and Ennis said Foster began throwing her clothes off the balcony. He then allegedly dragged her down the stairs, punched her in the face and kicked her, Ennis said. During the alleged altercation, Ennis said she asked Foster how he would feel if someone were treating his mother or sister in a physical manner. The team didn't cut Foster after the February incident because they were aware that Ennis was going to recant her story, she said, adding that she now regrets that decision. At the time, 49ers head coach Kyle Shanahan said the team had a zero-tolerance policy domestic violence policy, but he was welcomed back to the team after he was cleared of the charges. The Washington Redskins claimed the rights to Foster two days after he was released by the 49ers, a move that felt like another "slap in the face," Ennis said. At the time, Doug Williams, senior vice president of player personnel, wrote in a statement on Twitter that the team "fully" understood "the severity of the recent allegations" against Foster and that, "if true," the allegations are "nothing" the organization "would ever condone." The next day, Williams described the allegations against Foster on a Washington radio station as "small potatoes" compared to people in "high, high, high, high places that have done far worse." Williams later apologized after a Nov. 30 practice, mentioning the Redskins organization, his wife, mother, sister and six daughters when saying, "Never in my life have I said anything so insensitive," according to The Associated Press. "Like, everything I thought was love is really not love," she said. "It's not." Ennis's attorney, Adante Pointer, said she has been "tormented throughout this relationship," adding that there are pending criminal charges against Foster at this time in Florida. In a statement, the NFL said Foster will not be able to practice, play or attend games while the matter is under review. "Mr. Foster was released by the 49ers and subsequently signed by the Washington Redskins. The NFL immediately placed him on the Commissioner Exempt list and he will not be able to practice, play or attend games while we review the matter. Upon hearing of the incident, we immediately begin an investigation that will be thorough and comprehensive to understand the facts of the matter," the NFL statement read. "If the league finds there was a violation of its personal conduct policy, Mr. Foster will be subject to discipline even if the conduct does not result in a criminal conviction." The president of the Washington Redskins told ABC News that the team did it's own investigation, adding that law enforcement needs to hear from both sides and see how this plays out. ABC News' Bill Hutchinson and Kieran Mcgirl contributed to this report.